A smooth, easy-listening voice, solid knowledge of rodeo and a style that is both entertaining and informative are the mix of elements that make Will Rasmussen one of the Professional Rodeo Cowboys Association's most popular Rodeo Announcers. With more than two decades of experience in the industry and a Wrangler and Ariat endorsee, Rasmussen is a veteran rodeo announcer who, since advancing to the PRCA ranks in 1994, has shared his style of announcing with rodeo fans in Montana and across the United States. At 25 years of age, Madison MacDonald-Thomas is one of the World's Top Equestrian Athletes in her arena. Born and raised just south of Calgary Alberta Canada but now calls Stephenville Texas home with her husband of two years Keegan Thomas. Madison is a seasoned entertainer with over 19 years of experience under her belt, Madison has had amazing opportunities to perform across Canada, the United States and Mexico at World Renown Events and Rodeos. 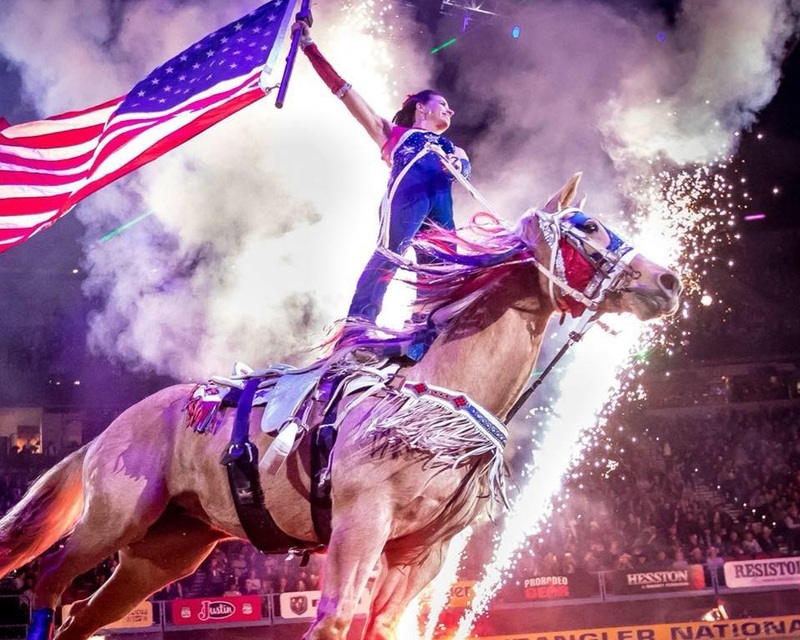 She has been selected as 8X NFR Contract Act and has had the honor of performing at the Wrangler National Finals Rodeo in Las Vegas since the age 18. Madison started Magic in Motion Equine Productions in 2014 to allow the opportunity to incorporate numerous talented equine performers to each one of her shows. Madison not only spends her time Trick Riding. When she is not on the road she spends her time competing as a WPRA Barrel Racer, Team Roping, Training Horses, Teaching Lessons and spending time with all her animals and her family! Keegan and Madison now spend their summers working out of Canada and their winters living in Texas. Raised in a small town of Hardin, in south east Texas is where I call home. Though I didn’t grow up in a rodeo family or ranching, both of my parents encouraged us to follow after what we loved. I fell in love with rodeo and the ranch lifestyle at a very young age constantly going to rodeos and attending our annually big PRCA rodeo in Liberty. This is where I fell in love with the sport of bullriding and bullfighting. This is where I also met my hero, idle, and mentor Miles Hare. After having a short career as a bullrider throughout high school and early college, I began my bullfighting career in 2011. Having been a bullrider it allowed me to be able to read bulls and the riders and know when is the most accurate time to step in and make a save. I earned both my PRCA and PBR bullfighting cards in 2013, studying and learning from the one I watched growing up Miles Hare along with Rob Smets. 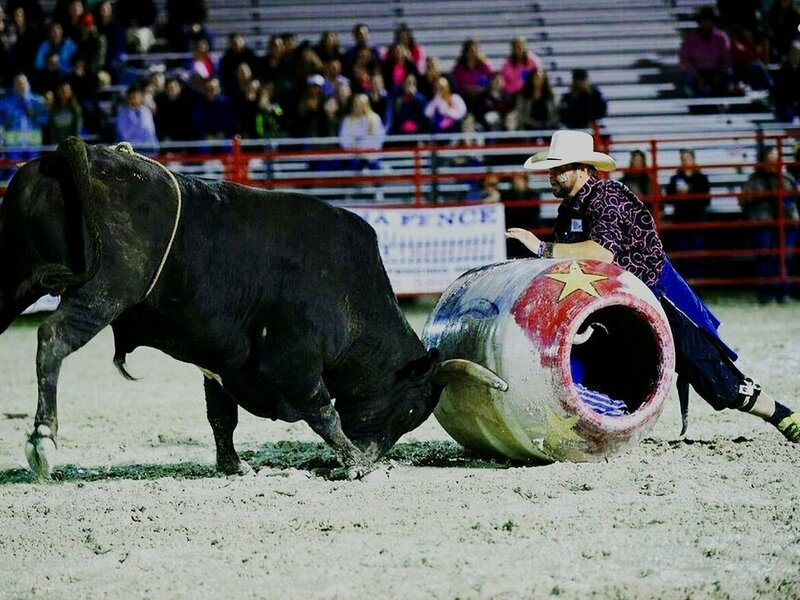 I have been invited to some of the biggest bullfights and have worked some big rodeos all over the country. I take pride in my ability to protect and save cowboys, along with entertaining the crowd. I know all of this wouldn’t be possible though with out the help and grace from my Lord and Savior Jesus Christ.